Brands got serious - terrifyingly, deadly serious - on Twitter after seeing swimming legend Michael Phelps put his game face on. (Image via NBC News' Twitter account). Before hopping in the pool on Monday night for the 200 meter butterfly semifinal race at the Olympic Summer Games in Rio de Janeiro, Michael Phelps put his game face on, delighting (or terrifying) social media. #PhelpsFace was a top trending topic on Twitter through Tuesday morning, and several brands got in on the action as well. 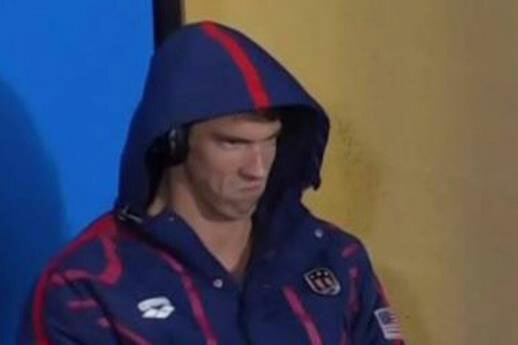 Tweet at @PRWeekUS with the brand you think live-tweeted #PhelpsFace best.